I am Senior ABAP Developer, extensively working on SAP ABODE Forms, here want to utilize the platform to share the encountered scenarios with the possible fix. This will help in timely resolution for the issues, and at the same time better to consider the cases in designing phase for qualitative delivery. 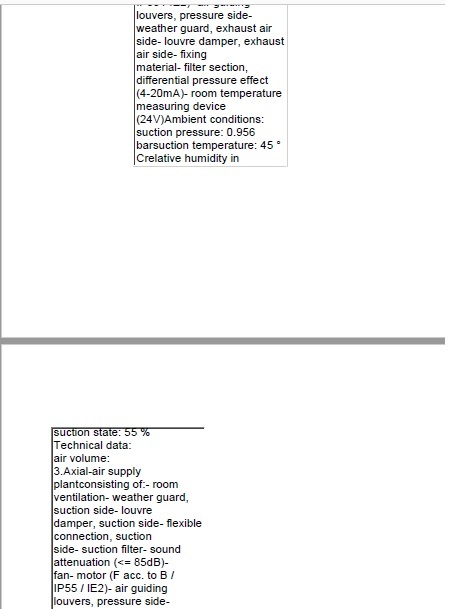 Scenario: We have a case where long text is being maintained more than a page, and overflow data indented to left as shown below in Table Display + SAP Adobe Forms. We have an option in forms to group list of fields and display them in fixed position by choosing “Positioned” Property or “Flowed” Property so that we can move them based on data existence ex., if field doesn’t have data below field should occupy that space. Technically challenging scenario below is Description Column highlighted in Blue, should flowed to handle a case when data doesn’t exist for any field, below field should the accommodate the blank space. And First Field under Description Column (currently Material Text) should be a Fixed position to align with the table format and it should be flowable as it is a long text and if data doesn’t exist below field should move up. Both are contradicting with each other. We need to group the fields using sub form, which should be in Positioned and which to be flowed. Group the list of columns to be fixed position in a sub form and check the properties “Positioned” and “Allow Page Breaks within content”. Note: If data is not there, then there will be a blank space. c. Group the movable fields and check the properties as shown below. Note: Limitation for the fields in Fixed Position, we can’t hide them based on data. Ex., In case of no data, blank space will be displayed. In the above screenshot Column 4 will have material details, so 1st field should be MATERIAL Number instead of any text which may be present for an item or not.